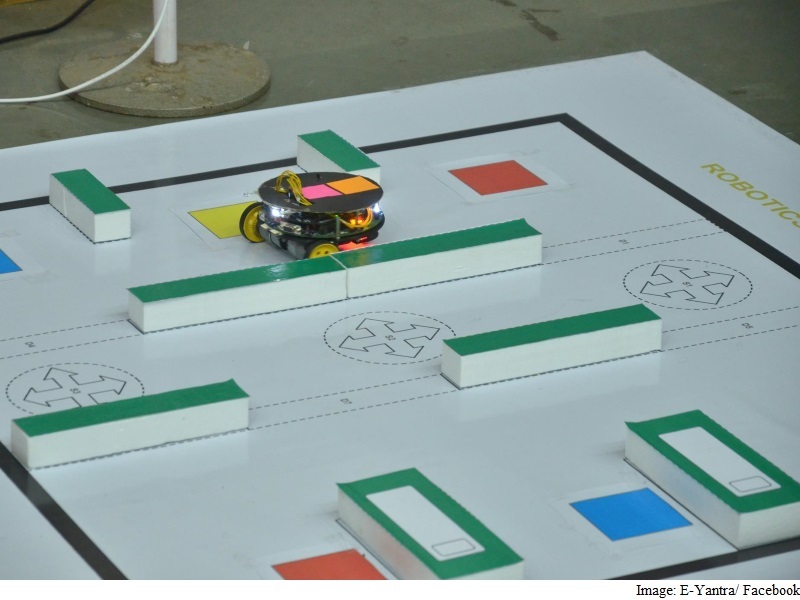 The finals of IIT Bombay’s eYantra Robotics Competition (eYRC), which is in its fourth year, will be held in the campus from tomorrow. The two-day event will witness teams from across the country competing for the coveted prize and the opportunity to intern at IIT Bombay, an official release said. The e-Yantra project is sponsored by the Ministry of Human Resource Development, under the National Mission for Education through ICT, to provide hands-on learning infrastructure to students who have limited access to labs and mentors, it stated. The theme for this year’s eYRC is ‘Smart Services’. The competitors have to develop indigenous solutions using robotics for delivery services, hotel services, hazardous waste handling and emergency services. It aims to make students aware about how technology can be used to solve many problems that we face in our day-to-day lives and also provide a common platform to showcase their talent, the release said. Teams from engineering colleges in Mumbai, Mathura (UP), Shillong (Meghalaya), Nadiad (Gujarat), Shimoga (Karnataka), Kanyakumari and Erode (Tamil Nadu) are participating in the final leg of the competition. A competitive framework harnesses the intellectual ability of youngsters to create practical solutions to real problems, the release said. The domains range across manufacturing, defence, smart homes, city maintenance and service industries. The competition engages students in project-based learning, where they solve problems using robots, it said. The goal of the e-Yantra project is to create a cadre of engineers to address problems that a rapidly growing economy such as India is facing. “We want to create resources that will contribute to ‘Make in India’. The project is setting up e-Yantra labs in engineering colleges across the country. If a college spends Rs 2 lakh on a laboratory and volunteer 4 teachers for this, e-Yantra trains the teachers and helps them set up a lab in 4 to 5 months,” e-Yantra projects’ Principal Investigator Kavi Arya said.